David Hastings, BBA, CMA, FCMA, CIPFA (hon), retired in late 2011 from Cenovus Energy-Calgary. He was the Business Manager and a member of the Steering Committee for the $4.5 billion Wood River Refinery Expansion Project, working in St. Louis and Houston for four years. Before working at Cenovus, David worked at Shell Canada Limited for 31 years, retiring in 2007. That same year, David moved from Calgary, Alberta, to Fall River, Nova Scotia. 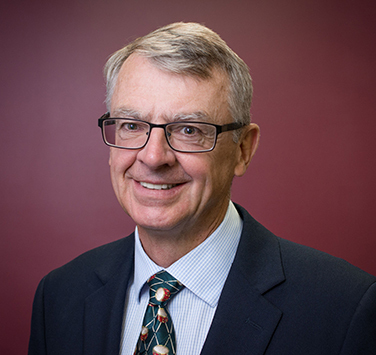 A graduate of Acadia University, David is currently on the Board of Acadia University, a member of its Audit Committee, and Chair of its Endowment/Investment Committee. David is a past Executive Committee Member of Neptune Theatre and past Board Member of the Halifax Club and Halifax United Way. He was also a Distinguished Judge for the Ernst and Young Entrepreneur of the Year Awards. David is a past Board Member of the IESBA (The International Ethics Standards Board of Accountants), tasked with rewriting the Code of Ethics for three million accountants worldwide. He is a past chair of CMA Canada and chief negotiator of the initial merger talks to merge the CMA, CGA, and CA accounting groups. He is a member of The Ashburn Golf and Country Club in Halifax. David has been married to his wife Patricia for 38 years and has two sons. Christopher (McGill graduate in Music) and his wife Isabelle live in Germany with their two children, and are professional musicians (Percussion and Trumpet) with the Luxembourg and Metz Symphony. Stephen (Dalhousie graduate) lives in Germany, and is Finance Director for the Baltic subsea Nordstream gas pipeline construction project, bringing gas into Germany, France, and Holland. David’s interests include music, gardening, golf, running, travel, and most sports. David and Patricia have a Rag Doll cat named Mozart. Joined the Board in 2011. Entering the second year of a two-year term (until 2019) as Past Chair of the Board.